Recently, I bumped into a lovely lady. She hugged me and told me what a wonderful worship leader my son is, and how proud I must be, as a mother....and so blessed. I beamed!! Yes I am immensely proud of my son, but even more immensely blessed as I watch my son grow in faith to be a remarkable young man of God. In fact, I believe my son has an anointing yet to be revealed. I have had this confirmed over the years by many people. But in that moment, after this lady spoke, something very significant occurred to me. You see, it was this very same lady, who 20 years ago, led me to The Lord! She was on the pastoral care team, which in those days didn't have such a fancy name! This lady would visit me each week and all she really did was love me. I say this because she put up with a lot on those visits! Apart from having to listen to the troubles and woes of a struggling single mother, she also had to put up with the cigarette smoke! She would speak to me so kindly as she shared the gospel with me. She seemed to look past all my imperfections, and I truly believe, her acceptance of me as a person is what truly showed me the love of Christ. To reach me, God sent the best person for the job. It had to be one with just the right characteristics for this particular moment! As I backtrack even further, I come to a time in my teens, when I was first introduced to the concept of a God who was more than some abstract being in the sky. I got "saved", though I didn't have a clue what that really meant! I was just excited to be part of this very different church, having grown up in the Church of England environment! 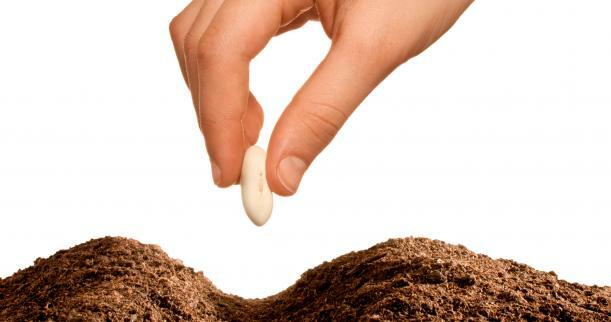 During this brief period, something stands out, that I believe was another "seed" sown. My brother in law and his sister often sang during church. He played guitar as well. I remember an occasion where I sang with them, and the song, "For Those Tears I Died", had such an impact on me, that those lyrics were somehow never forgotten, despite my turning my back on this God who loved me relentlessly. Oddly enough, the song would stir up an emotion in me that I never quite understood, until I gave my life to Christ in my early thirties! Often we panic at the thought of sharing the gospel. I for one, quake at the knees, knowing full well I am not gifted in evangelism! Yet the bible tells us to share the good news of the gospel. In Matthew 28:19 Jesus tells His disciples to go out and teach all nations. This applies to us as well, but of course we can't all be proficient in this task! I think the most important thing to remember is that we don't do the saving! Only God does. It's God who prepares hearts, God who orchestrates who crosses our path at a given moment. A friend who is a taxi driver, was recounting recently of a man who rode in his taxi. Apparently this man was suicidal, so my taxi driver friend broached the subject of faith, and told this man about Jesus. The man appeared aggravated by this and retorted that he wasn't interested in religion. My friend was disappointed that he couldn't help this man. He felt a bit of a failure as a Christian. He shouldn't though! For all he knows, a seed may have been sown. Perhaps somewhere down the track, that sown seed will be watered &amp; fed by other followers of Christ. Of course there is a possibility that this man would reject Christ even then. But it isn't for us to know. Our job is to remain obedient and do God's will. No matter how ineffectual we feel with our two loaves and fishes, God could take those and multiply them a thousandfold! Nothing out of the ordinary for Him! I doubt if this lady who visited me, wondered what the outcome would be for me, years down the track. Her task was to minister to me and share the good news of Christ. She may have felt her contribution to be very little......yet here we are twenty years later. She had no idea, as I did either that way down the track, this young woman she ministered to would become a woman, passionately devoted to following Christ, stepping out of that comfort zone doing You Tube videos, or writing blogs or standing up for her faith in the midst of derision! And the little toddler playing with Lego would be a worship leader, a young man earnestly following Christ, a young man with an amazing servant heart, who wants nothing more than to walk in the will of his God.